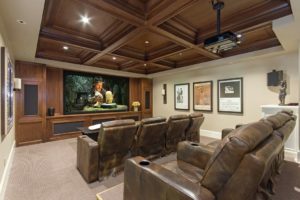 This theater, located directly off the family room of a Westchester home, features full acoustic panels and coffered ceilings as well as discreetly placed speakers and electronics – all controlled with a touch panel. 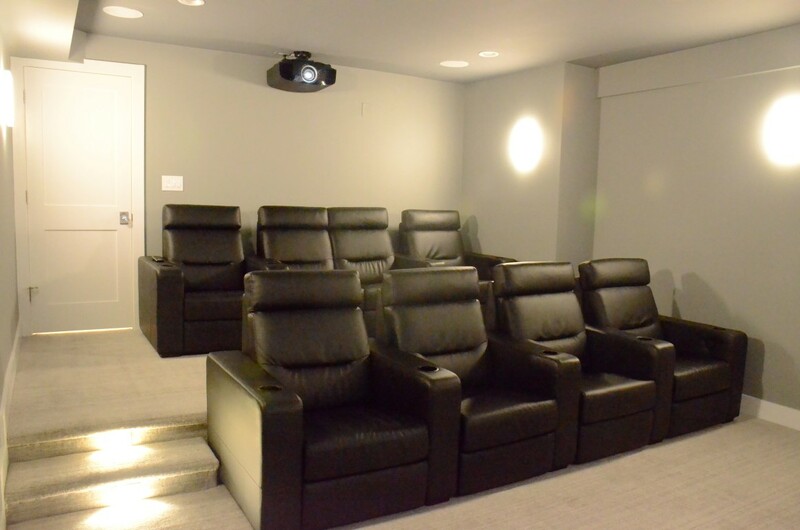 We design and install full-fledged home theater systems complete with 4K projectors, professional-quality projection screens, in-ceiling and in-wall speakers, surround sound, home theater seating, and theater-style lighting. 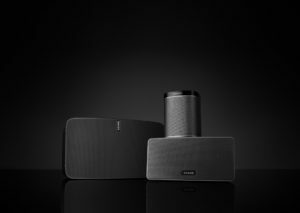 We will work with you to design your dream home theater in any room of your house. Choose a predesigned theater or let your imagination run wild with a custom design that fits your needs exactly. 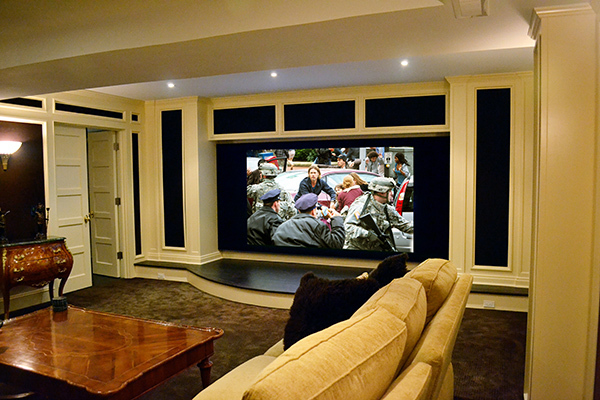 This Greenwich home theater was designed with the input of the homeowner, architect and Soundworks team. Even the screen was custom made, changing size to fit any aspect ratio. 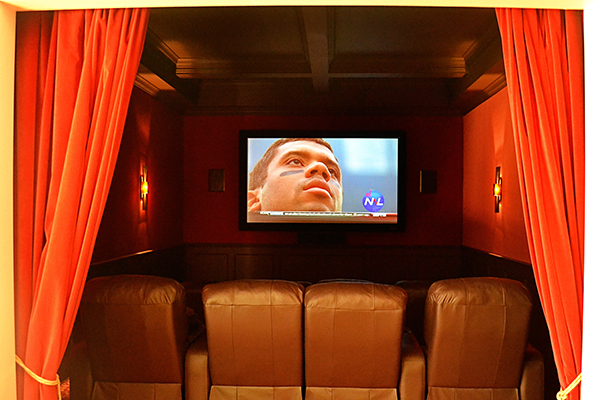 This 8 seat home theater is located just off the game room in a New Canaan, Connecticut home. 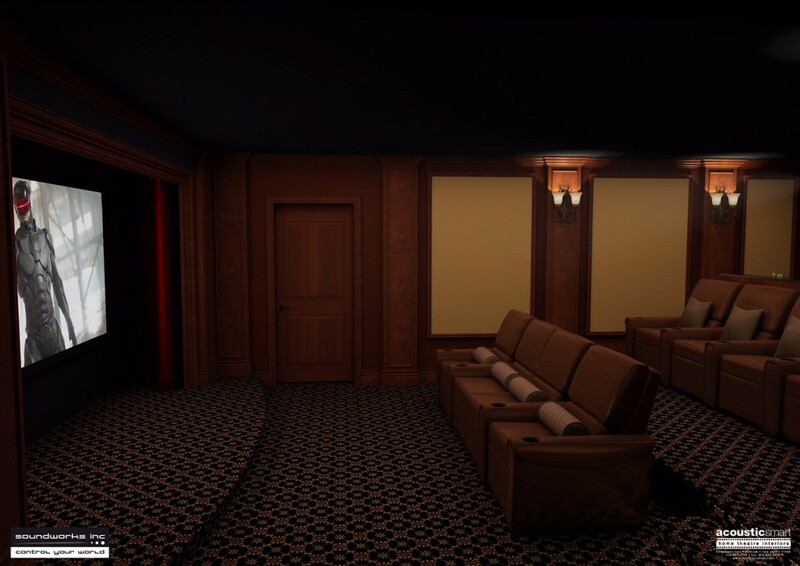 Completely designed and implemented by the Soundworks team, it features the classic red velvet curtains for privacy and that vintage theater look. 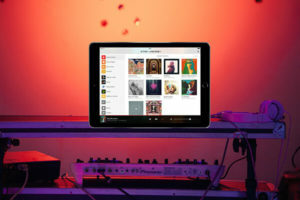 To make sure you are entirely happy with your design before a single change is made, Soundworks partners with AcousticSmart to create 3D image and video renderings. 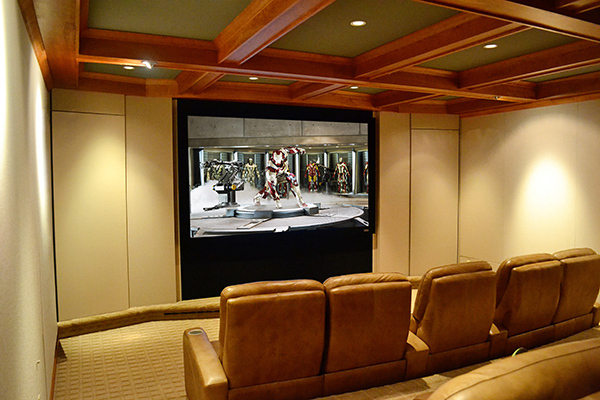 We install home theaters in communities across Westchester County, Fairfield County and NYC, including Armonk, Bedford, Bronxville, Chappaqua, Darien, Greenwich, Harrison NY, Pound Ridge, Purchase NY, Westport and more. See all areas we serve.